Erica Verrillo has some of the best information on markets for writers and I love sharing her posts… especially when I’ve been working at the Renaissance Fair all day! From her website: Speculative fiction publishers have a tradition of accepting manuscripts directly from authors. This is a genre that has a market of readers who think in terms of possibilities, and who don’t, as a rule, like to follow the mainstream. 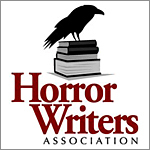 Today she has an awesome post: 3 Major Science Fiction and Fantasy Publishers Accepting Unagented Manuscripts. Be sure to check out all her good info on writer markets. This entry was posted in #AMWRITING, #KCLocal, #MakeItLocal, #ReadLocal, #Reviews. Bookmark the permalink.